Our primary goal is to teach young filmmakers how to find and share compelling stories from their own communities. We're looking for a team of young and committed individuals to participate in the inaugural Stories Found curriculum and filmmaking workshop in Nairobi, KE. Gain the knowledge and skills required for creating impactful short-form documentary films. As a student, you'll get free, life-time access to the Stories Found online documentary training course. Put your knowledge to the test and join fellow students in finding and filming your own short documentaries. Stories Found instructors will join you in Nairobi to help produce your films - for free! Who can apply? Who is the ideal candidate? What exactly am I applying for? Where and when will the filmmaking workshop take place? What concepts are covered in the Stories Found online course? I do not live in Nairobi. Can I still apply to be a Stories Found filmmaker? I was not selected as a Stories Found filmmaker. Can I still enroll in the online course? Is Stories Found offered in other cities? Who sponsors the Stories Found program? Why was the Stories Found program created? The Stories Found program is designed specifically for first-time and emerging filmmakers who live in Nairobi, KE. Applicants must be between the ages of 18 - 28 years of age and live within the the city limits of Nairobi. Applicants may come from a broad range of fields, a variety of academic and professional backgrounds, and have diverse storytelling experiences. Ideal candidates demonstrate a deep interest in the craft of filmmaking and visual storytelling. However, prior filmmaking experience is not required. Preference will given to applicants who represent a diversity of thought, culture, ethnicity, race, interest, and background. Candidates must be able to speak and read English. Applicants are applying for a chance to be a Stories Found filmmaker. Selected applicants will participate in a week-long filmmaking workshop hosted by the American Center at the U.S. Embassy, Nairobi. As part of their training, selected applicants are required to work through the Stories Found online curriculum, which is free and open to the public. Students will have lifetime access to the online curriculum. Once selected, applicants are required to begin study in the online curriculum. Participants will have three (3) weeks to complete the online course. During this time, students will also engage in pre-production tasks prior to the workshop. 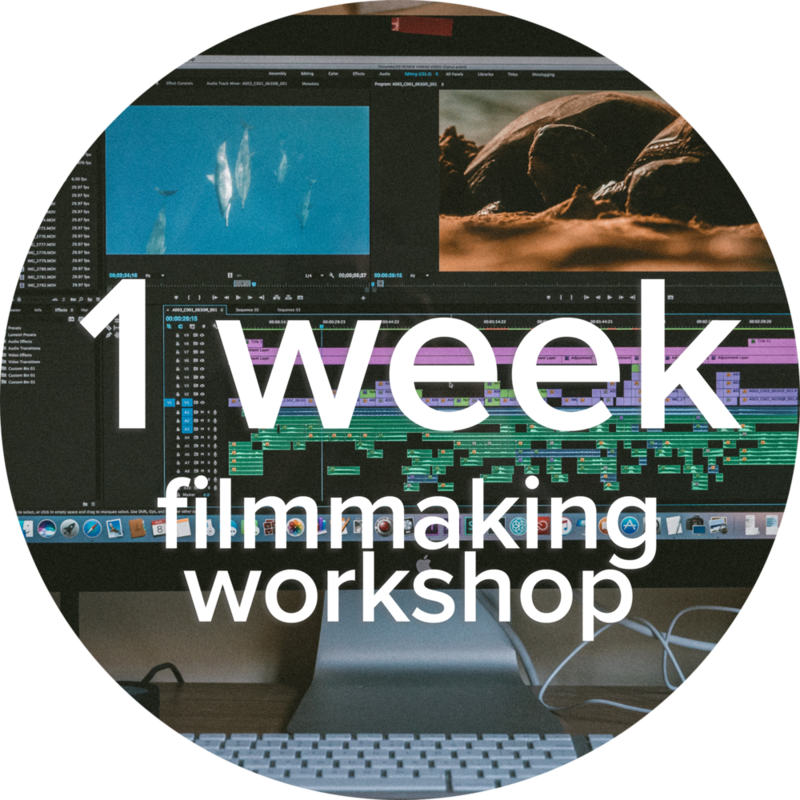 Participants must be able to attend the week-long filmmaking workshop in its entirety. The workshop will take place from 9AM to 5PM lasting Monday through Friday. The workshop is considered an intensive. Students should come prepared to dedicate themselves fully to the curriculum and the process. The Stories Found filmmaking workshop will take place at the American Center Nairobi, which is housed at the U.S. Embassy, Nairobi. The workshop is scheduled for early July 2018. Selected participants will be notified via email on Wednesday, May 23. The online course is divided into the three stages of film production: pre-production, production, and post-production. In the pre-production module, students will learn how to find and craft their film's storyline, as well how to plan and budget their film, build a production team, and gain access to camera and recording equipment. In the second module, students will learn shooting fundamentals and best practices for backing up footage and organizing files for editing. In the third and final module of the online course, students will learn how to edit their films for story and impact, as well as a framework for marketing their films for festivals and distribution. No. The Stories Found online curriculum and filmmaking workshop is only open to residents of Nairobi who live within the city limits, at this time. Yes. The online course will be made available to the public beginning in mid-August 2018. No. Stories Found is only offered in Nairobi, KE. Our primary goal for the Stories Found project is to engage, encourage, and inspire young Nairobi professionals to pursue careers in filmmaking. We believe that by empowering the next generation of Kenyan filmmakers, we'll contribute to the positive growth of the film industry in Kenya and promote strong ties between Kenya filmmakers and the international film community. We are currently accepting applications for the Stories FOund: NAirobi online curriculum and filmmaking workshop.